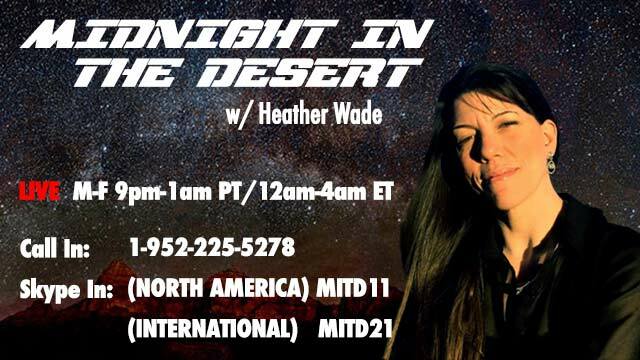 November 23rd 2016 the director of VSPR-Mike Sears was a guest speaker on the Art Bell production radio show “Midnight in the Desert” Hosted by Heather Wade. Mike shared his personal experiences of the paranormal and the Afterlife with Heather and the listeners. The show was so well liked, the show was replayed on Dec 15th. I wish we could post the recording of the show here, but it is the property of the show. You can access the recording of the show in their archives if you like to listen to the show. Mike Sears- Thank you again Heather Wade and the staff of Midnight in the Desert for having me as a guest. Heather was an amazing host. It was a honor and pleasure to be on the show sharing my personal experiences and being able to talk to the listeners who called in.